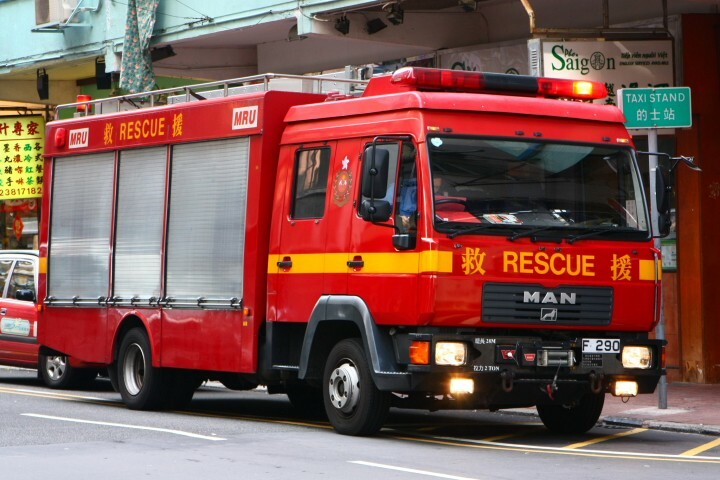 This belongs to the Mong Kok fire station in HK. Usually Major Rescue Units (MRU) are called upon for fire, traffic accident or special services. But sometimes, they need to deal with the so-called FR (first response) medical case. The F290 shown was dealing with such a case. These and the ICUs seem to be the only MAN units in Hong Kong's fleet, which used to be dominated by Dennis and is now mostly Scania. Rob, In a move that has certainly surprised me the latest deliveries to Hong Kong have been from Pierce. As you rightly say for many years the island was loyal to Dennis, operating the biggest fleet outside of London. Added by Andy Fish on 11 July 2018.